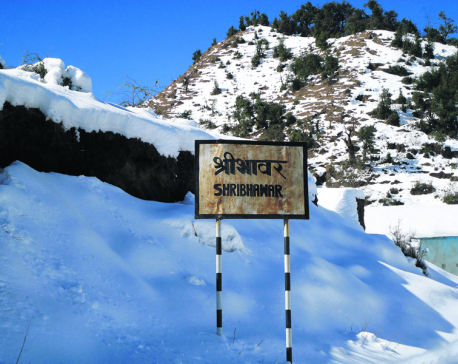 It has been reported that the snowfall has brought life to a standstill in Darchula, Bajhang, Bajura, Accham and Baitadi districts of the province. Marketplaces in the district headquarters of Darchula among other places barely remained active due to the chilling cold. Locals were hardly seen outside their houses. The snowfall also shut down schools in the district temporarily. 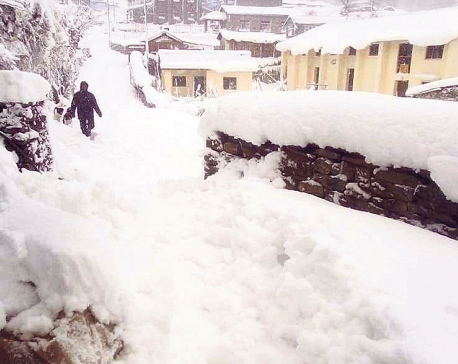 According to District Police Office, Baitadi, heavy snowfall affected Jayaprithvi Highway that connects the district with Bajhang. The Division Road Office, Patan, informed that they have sent an excavator to clear the road. Doctors have suggested keeping good care of health during the cold weather. According to them, children and elderly should be especially stay warm as children are prone to catching pneumonia while elderly are susceptible to respiratory illness. Various districts of Karnali Province, including Kalikot, Jumla, Mugu, Humla and Dolpa also experienced heavy snowfall as well as downpour. The resulting cold not only affected normal life but also disrupted flights in Nepalgunj and Surkhet. However, farmers expressed their happiness as the snowfall would be beneficial for their winter crops. Kalikot’s district-level agriculture office said the rainfall and snow have brought a huge respite among the farmers. 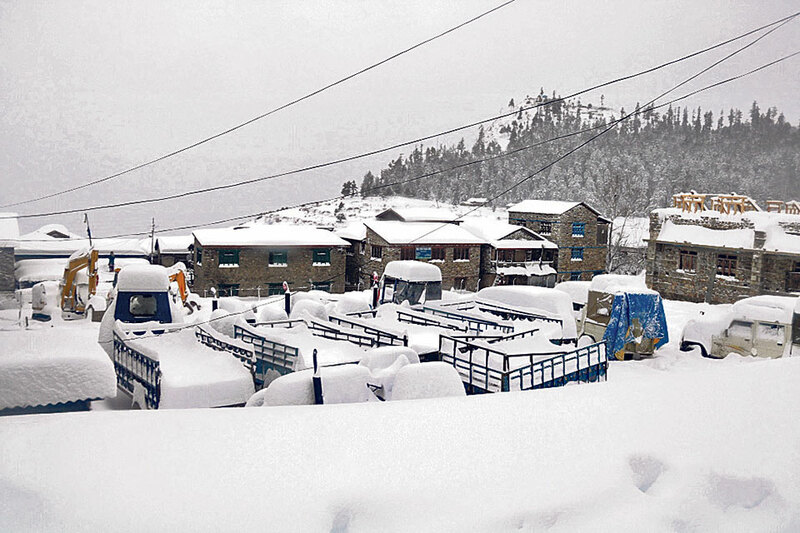 Snowfall in Humla was the heaviest in the district in the last six years. Various places in the district started receiving snowfall since 3 am Tuesday. However, the snowfall also brought down two electric poles, which disrupted power supply to two rural municipalities. All the settlements of Simkot and Kharpunath Rural Municipality are currently out of power supply after strong winds coupled with the snowfall brought down the electricity poles. Lal Bahadur Lamsal, chief of the Electricity Distribution Office at Hildam, said they have cut off electricity at those places until the poles get be repaired. Like in other places, the marketplace of Simikot also wore a deserted look as the locals and businessmen stayed indoors in the warmth of fire. Many children also stayed home instead of going to school due to the excessive cold.